One of the worst feelings a parent can experience is learning that his or her child is a victim of bullying. Anger is quickly followed by feelings of frustration, helplessness, and worry. And unfortunately, the problem is rampant: 15% of students do not go to school every day for fear of being bullied, and 1 of 10 students drops out due to repeated bullying. According to DoSomething.org, 90% of fourth through eighth graders report being victims of bullying. Bullying has existed since humans began to socialize, and is likely to continue despite efforts of schools and parents to intervene and break the cycle. The unfortunate fact is that many Americans don’t take bullying very seriously. Being a victim of bullying can emotionally wound young children for years. According to the Center for Disease Control, a victim is between two to nine times more likely to consider suicide than a non-victim, and a study in Britain found that at least half of the suicides among young people were related to bullying. There is also evidence that the feelings of inadequacy resulting from bullying can generate not only loneliness, but a lifelong tendency of depression. 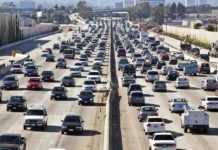 A study published in the journal JAMA documented the elevated risk across a wide range of mental health outcomes over a long period of time including agoraphobia (fear of crowds and public places), generalized anxiety, and panic disorder. Perpetrators of mass shootings such as those that occurred at Columbine, Cleveland’s Chardon High School, and Mississippi’s Pearl High School were victims of repeated bullying, eventually lashing out to get even with their tormentors. It is apparent that bullying is a serious problem, a situation that every child should be prepared to encounter and overcome. According to a report from StopBullying.gov, children most likely to be bullied are perceived as being different from their peers – overweight or underweight, short or tall, wearing glasses, new to the school – and considered weak and unable to defend themselves. Bullies couldn’t exist without victims, and they don’t pick on just anyone. Those singled out lack assertiveness and radiate fear long before they ever encounter a bully. Chronic victims often lack social support from others and have no means of support during bullying episodes. They are often social outsiders and have been rejected by many within the established peer group. Results from a study on bullying in the journal Child Development found that victims are usually non-aggressive students who are often shy and have difficulty defending themselves. Studies indicate that most victims of bullying have close relationships with their parents (rather than peers), who tend to be overprotective. As a consequence, they have no practice in handling conflict and no confidence in negotiating the world on their own. Preparing a child to cope in a world of unknown associations, temptations, and threats in future social interactions should be a goal of every parent. Fortunately, parents who take an active role can help their children prepare for the traumatic years of adolescence. The importance of interaction with others at a young age and learning to form friendships and build relationships cannot be overstated. 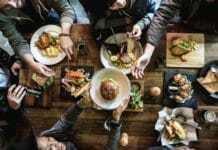 Researchers generally agree that the development of social skills – the ability to interact positively and harmoniously with others – is key to positive, non-bullying relationships with others, whether a child or an adult. Learning the skills of “agreeability” begins as early as two or three, and continues through adolescence. Multiple studies have proven that preschool kids who have positive peer relationships are likely to maintain them throughout life, while children who have a hard time getting along with fellow preschoolers are just as likely to be rejected by peers as they grow older, an early stimulus into later bully-victim relationships. Parents can positively affect the development of their toddlers’ social skills by arranging frequent informal peer-play activities with other two- and three-year-olds and monitoring their activities indirectly, thereby allowing the children to learn how to work things out on their own without adult intervention. Some research suggests that a parent’s active involvement with peer-play activities may inhibit social skills development. Talking with your child about his or her social relationships and taking a problem-solving approach to social difficulties shows them that you care, while teaching them to consider various solutions and different perspectives when conflict arises (“Why do you think Sara is being mean?”; “What do you think would make her feel better?”; “How did you feel?”; “What are you going to do?”; “What do you think Sara will do?”). “Confidence is the single best shield against bullying,” says Dr. David Perry, professor of psychology at Florida Atlanta University. Fear is an innate emotion present in all humans, a legacy of our evolution where sensitivity to pain or danger was key to our survival. According to neuroscientists and psychologists, we learn to overcome our fears by confronting them in a safe manner, learning to predict and control the feared object or situation. The act of repeated experience or practice in confronting our fears builds self-confidence, an emotional state where we have knowledge of potential outcomes and the mental certainty that our chosen course of action is the most effective. Thus, a two- or three-year-old learns through play with other children about conflict and how best to handle the situation to achieve their desired outcome. Bullying is about power – one person’s dominance over another. Bullies attack self-esteem and rob their victims of self-confidence if the bullying events are repeated and unopposed. All children are subject to attacks from a bully; however, confident and self-assured children don’t allow a bully to take power from them and avoid becoming a regular victim. Younger or smaller children are usually bullied physically or by the threat of physical violence. For many, especially those who have limited social skills, the possibility of physical violence is enough to diminish self-confidence still being developed by the victim. Giving your child the skills to protect themselves in a physical confrontation can build self-confidence and complement social skills learned and practiced in peer interactions. Even better is learning how to avoid the confrontation in the first place. 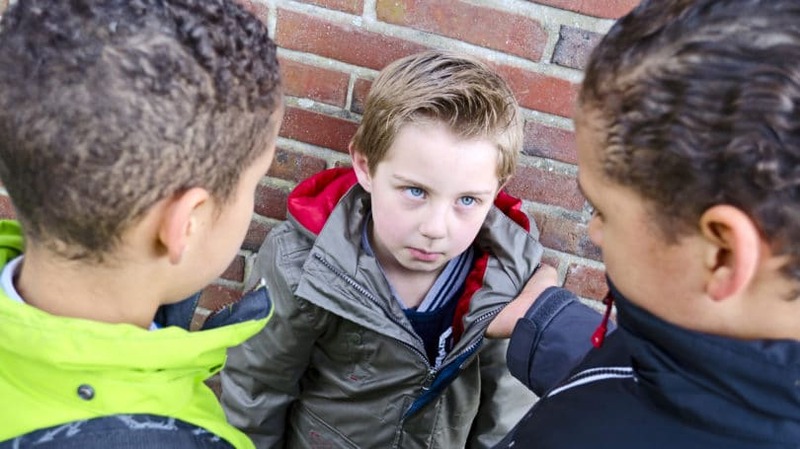 Just as children practice social skills by being with other children, they practice self-defense skills in mock confrontations to gain self-confidence that they are prepared if a bully attacks them. Television shows such as the “Teenage Ninja Turtles” and movies like “Kung Fu Panda” have introduced thousands of children to martial arts, and the combination of running, twisting, leaping, and falling can be great fun and good exercise. Discipline. Thomas Huxley, an English biologist, stated that discipline – the ability to make yourself do the thing you have to do, whether you like it or not – is the greatest value of education. 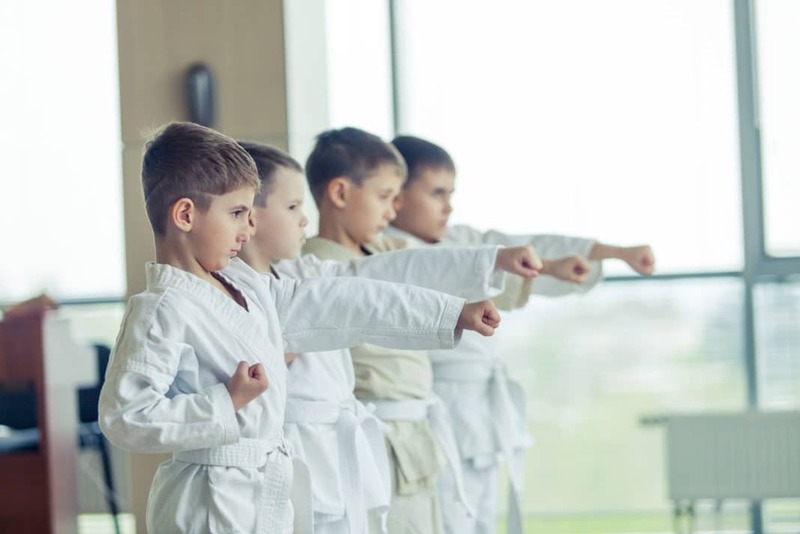 The regimentation and focus of martial arts training instills self-discipline and has been found particularly beneficial for students with attention deficit disorder (ADD). Goal Setting. Many martial arts recognize ability by ranks. Students progress up the ranks by demonstrating their improvements and greater proficiency in the martial art. It is a perfect example of how little steps, one after another, can cover great distances. Camaraderie. Actively learning and practicing martial arts with kids of different ages and skill levels in a single room can help develop a feeling of fellowship based upon shared experience. Self Esteem. Feeling capable and confident is essential to high self-esteem. As children master various levels of proficiency, meeting the challenges of every level and building incremental successes, they feel better about themselves and their ability to handle new situations. Respect for Others. All martial arts are based upon respect for others and to value age, rank, expertise, and experience. Bowing to each other and to the instructor as a sign of respect is common. Physical Exercise. Martial arts training develops cardiovascular fitness, muscular strength, and a heightened sense of balance. All joints and muscle groups are exercised through a set process of warmups, stretches, intense exercise, more stretches, and a cool-down period. Personal Security. Knowing that you can defend yourself gives peace of mind and increased situational awareness. Sparring in the gym (dojo) familiarizes students with how attacks occur and decide which countermeasure is best – including walking away. There are a variety of martial arts popular with children, ranging from the Japanese karate, to Korea’s taekwondo. Some are known as “hard” arts, where the emphasis is on striking (punching and kicking), while others are considered “soft” arts, which emphasize grappling (throws and holds). Your child’s interest in a particular style will be based upon his or her personality, friends, and competitiveness. While all styles are defensive, the “hard’ styles are more offensive. Aikido or jujutsu, “soft” styles, are designed to get out of the attacker’s way and then use his own strength and momentum to overcome him. Children as young as four and five can be introduced to the soft styles, while the hard styles of karate or kung fu are usually started at ages seven or eight. 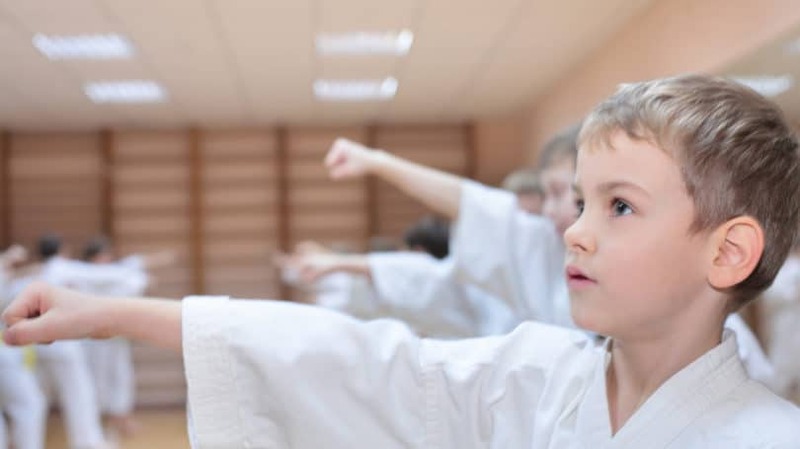 “Most styles (of martial arts) are highly suitable for children, so it isn’t the style that’s important – it’s the quality of instruction that you look for, ” says Nick Gracenin, owner of the Martial Arts Center in Sharon, Pennsylvania. Picking a good school and instructor is critical, and greatly depends upon what you want and expect from the training. Some schools might be very good in teaching self-confidence, but fail in self-defense. Traditional schools focus on discipline and training, but may not have as much fun, leading kids to want to drop out. The value of the instruction is the teacher’s attitude and experience working with young children. The best way to choose a school and teacher is to visit the facility during a class or two. Observe what is happening and how children of your child’s age are participating. It is always wise to talk to other parents whose kids are involved in martial arts to have realistic expectations of the training and the benefits your child may receive. Many adults can remember a time in their childhood when a bully attacked them or one of their friends. It’s a horrible feeling, and one we hope our own children can avoid. Reinforcing social skills, building self-confidence, and developing self-defense skills can improve your child’s ability to appropriately handle a bully when he or she appears. Were you bullied in junior high or high school? What did you do, and what do you wish you had done differently?